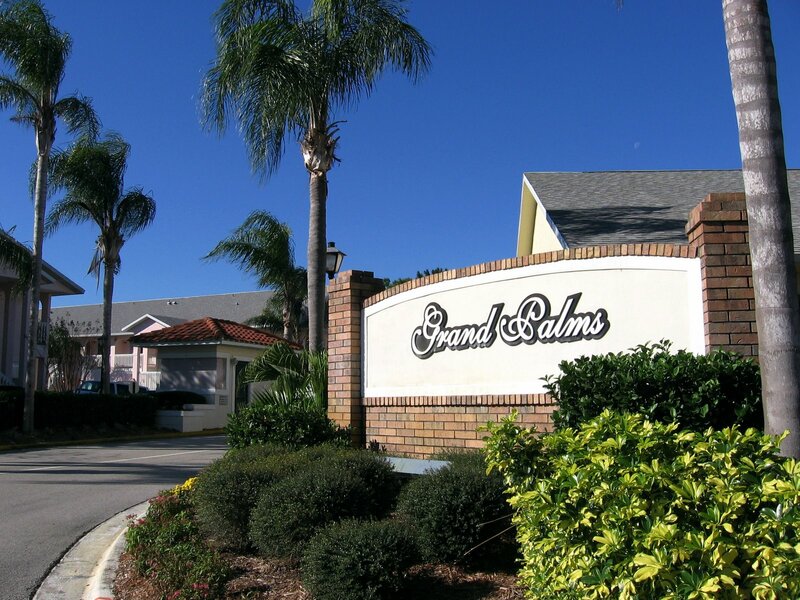 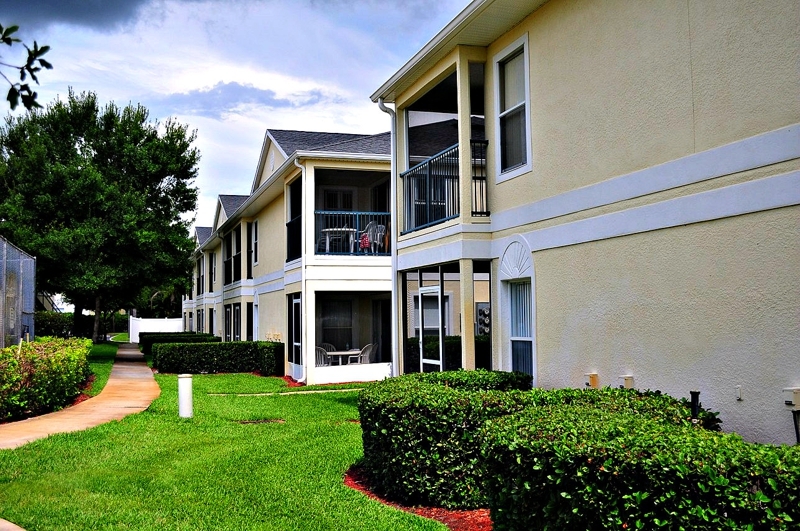 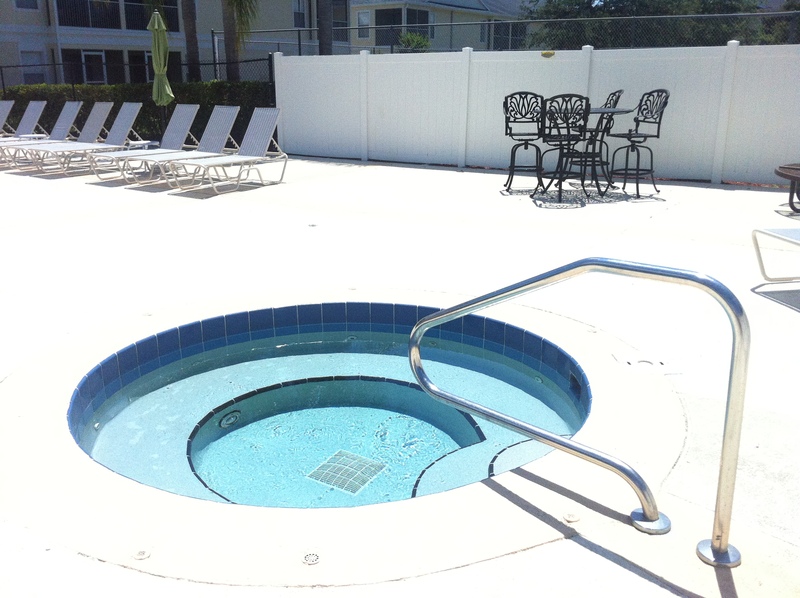 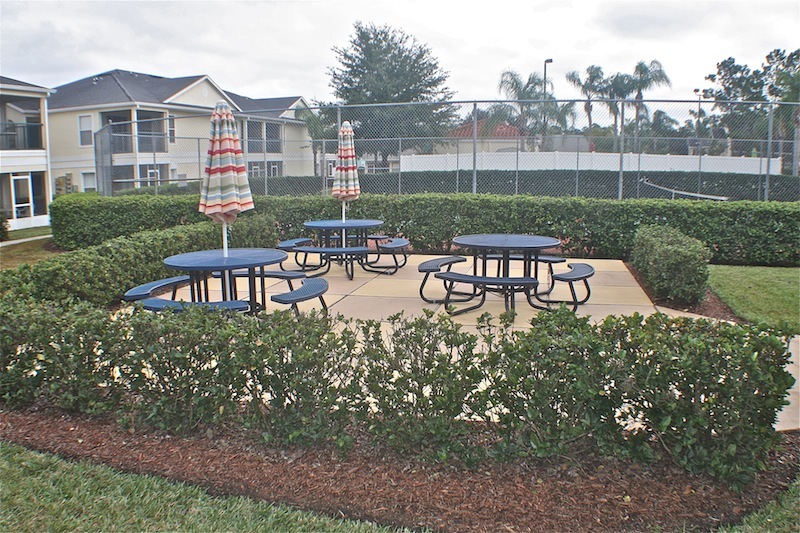 GRAND PALMS RENTALS KISSIMMEE: Grand Palms is a quiet resort community offering 2 and 3 Bed spacious condominium self-catering 'home-away-from-home' rental accommodation. 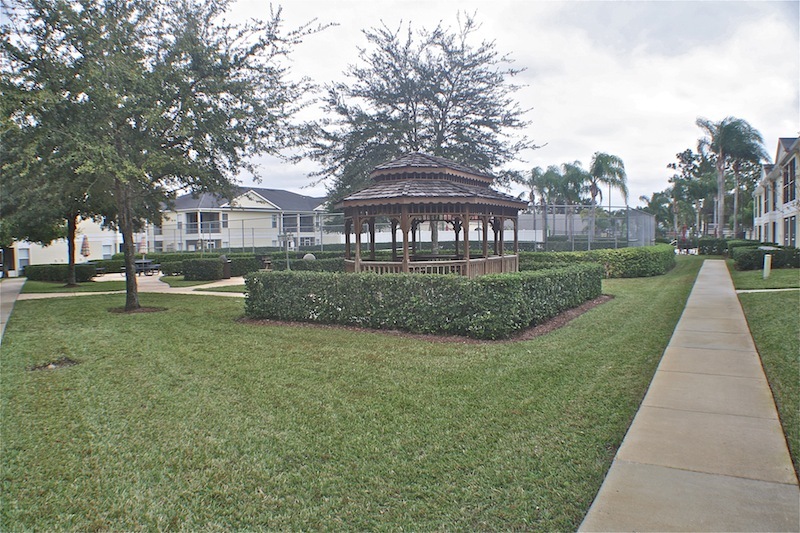 Grand Palms is set in a conservation area and ideally situated in the West Kissimmee area alongside the ever popular Lindfields development, with stately palm trees and classic lamp posts encircling the streets around Grand Palms with well maintained tropical landscaping. 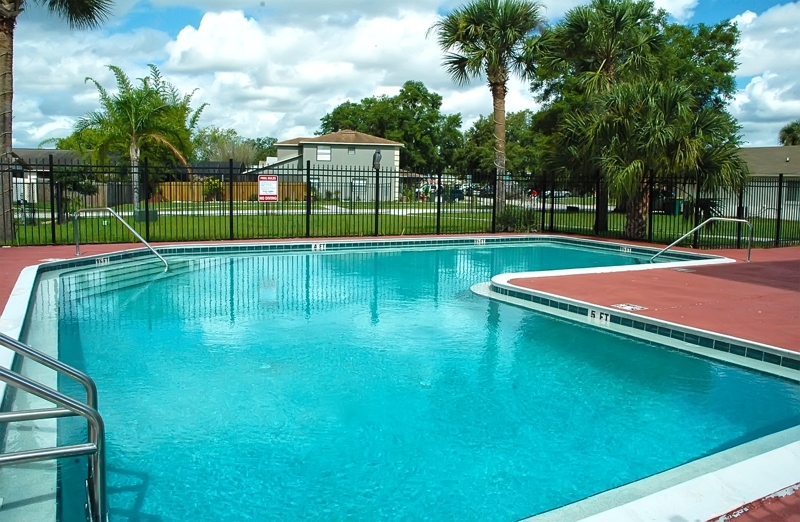 There is a multitude of shopping, restaurants and leisure entertainment facilities within a short drive, as are the Orlando Area Attractions. 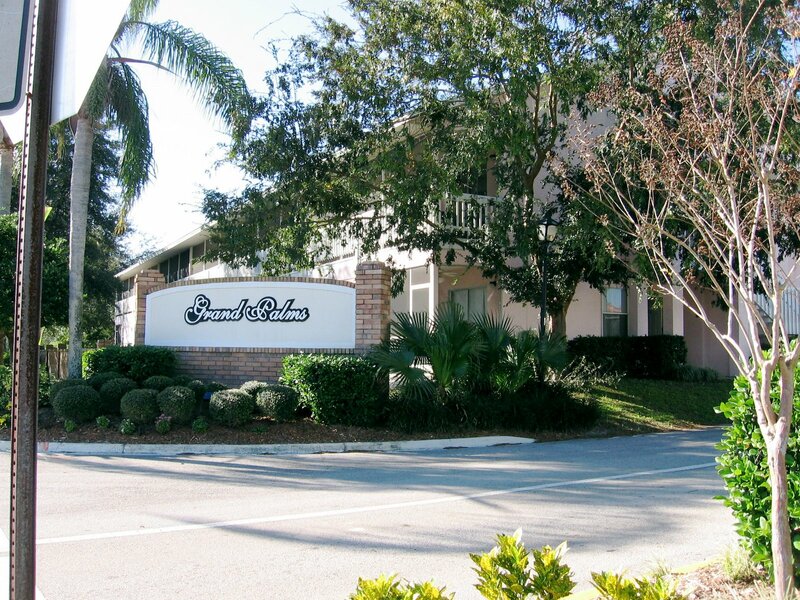 A championship golf course is located at the nearly Orange Lake Golf and Country Club. 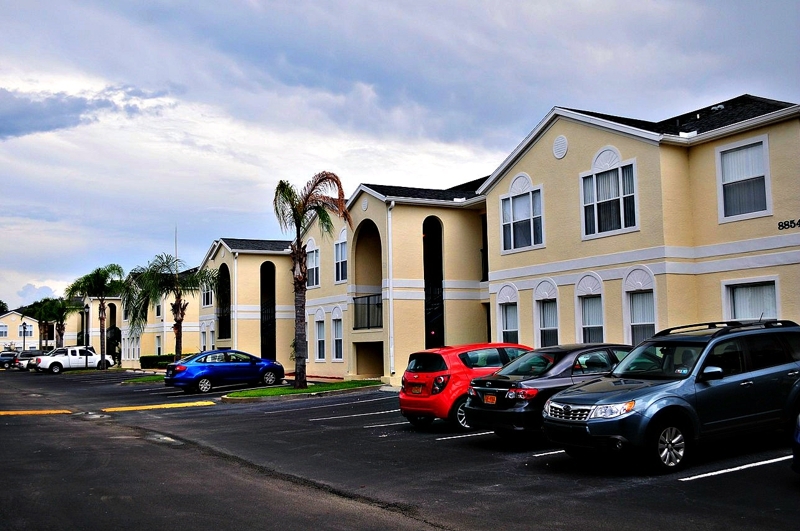 Grand Palms is in a great location for Central Kissimmee, visiting the Orlando Theme Parks, being near to shops and restaurants, and generally getting around the Orlando area. 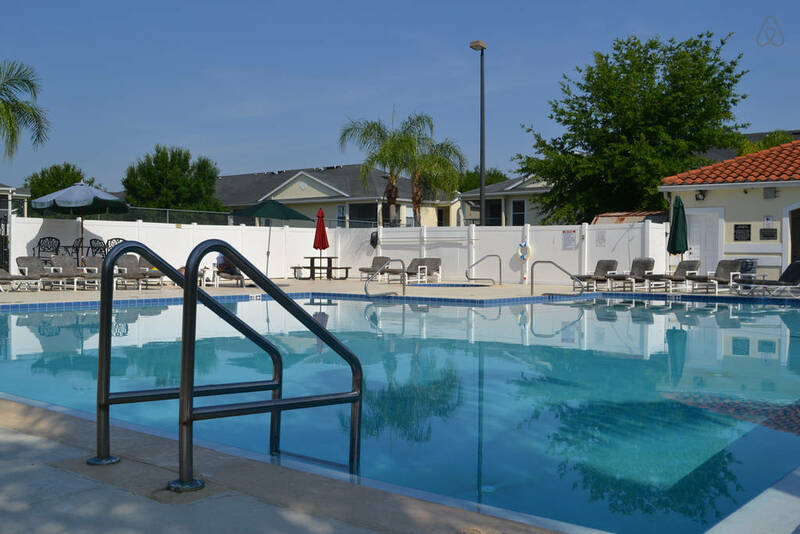 Set in an attractive area of lakes, trees and woodlands, Grand Palms, with its calm maturity is a residential location offering guests a peaceful retreat from the hustle and bustle just down the road. 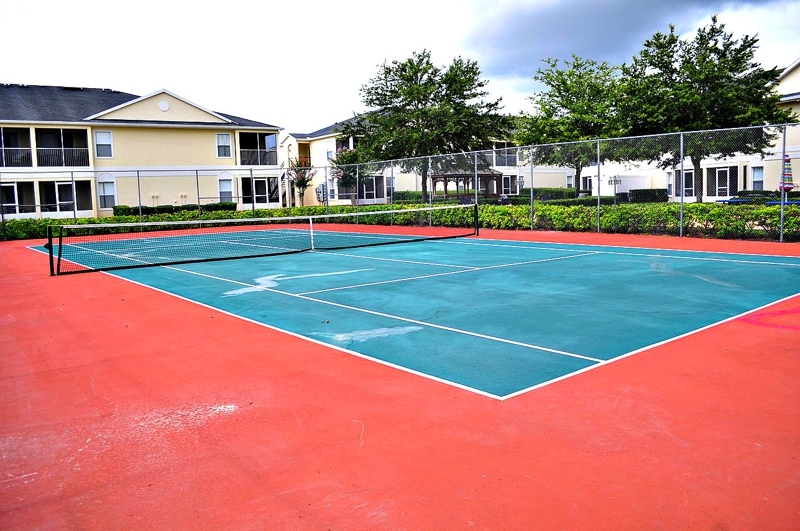 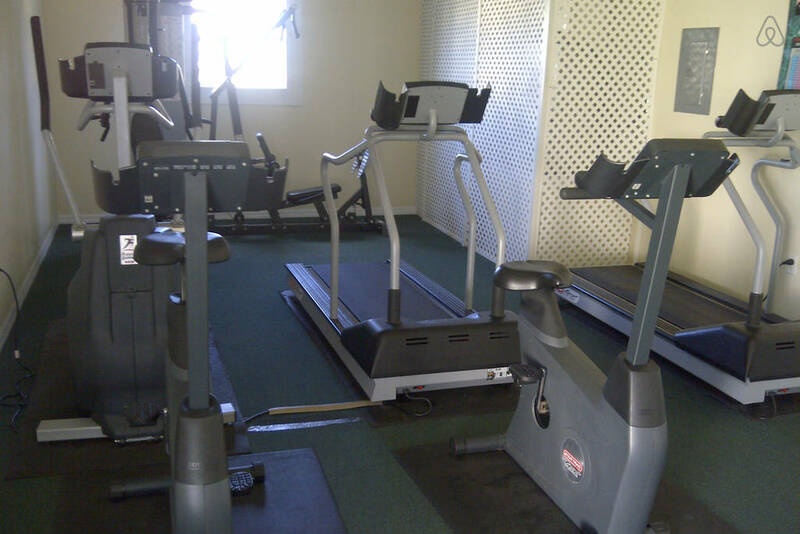 Community leisure amenities at Grand Palms, which are within easy walking distance, include a large swimming pool, jacuzzi spa, fitness facility, tennis court and picnic area.